I love my raw veggies, I really truly do but sometimes it can be tough to get my little guy to eat enough of them. What better way to get kids to eat their broccoli than covering it in cheese, ooey gooey bubbling cheese? This is a totally decadent way to enjoy the little green trees. The sauce just melts into the broccoli florets and the top gets a perfect little crisp to it. 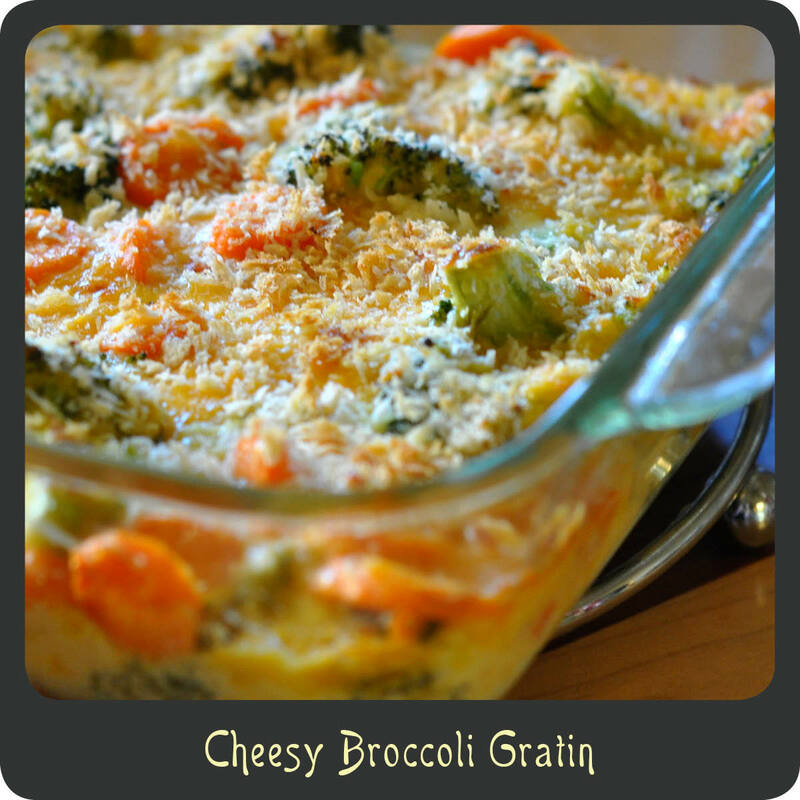 While this is written as a broccoli gratin I added in carrots too since I had them on hand and they needed to get used. It goes great with or without them. I love serving this dish with a side of grilled meat. Yum! Talk about a perfect comfort food for this fall and winter. Note: Leave out the panko and you have an indulgent low-carb side dish. Steam broccoli and carrots for a few minutes making sure they still have a little crunch to them. In a large bowl whisk together mayonnaise, milk, mustard, garlic powder, salt, and pepper. Add in the cheese and stir until combined. Gently mix in the cooked broccoli and carrots until they’re evenly coated. Pour the broccoli mix into a 9” x 9” greased baking dish. Bake for 14–18 minutes or until the cheese is melted and bubbly and the panko is a golden brown. LOVE your site and recipes!! !